How to Make Your CMS Website Secure? The website offering CMS (Content Management System) is known as CMS website. CMS websites allows the owner of the website to add images, text, data etc without having the knowledge of HTML, java script, CSS, etc. Does your CMS website need security as it is hacked? As the owner of the website, owner you must follow some steps to assist your CMS website. If you have a web hosting company to host your website then you don’t want to worry about the server side security of your website. You just increase security from your side. This will have a impact on the owners like decline in their sales, you will loss customer confidence, you will identified by the Google as malicious site which effects the Google ranking and traffic to your site. At first change the password of your CMS. You may be using the weak passwords which can be easily identified. Try to create a password which no one can guess. In simple go for the online secure password generator or the Firefox plug-ins password generator for getting a strong password for your CMS. Or other wise you yourself create a password by including alphabets, numbers, special characters etc. which must be of at least 8 characters. Check your CMS file permissions and keep them in the way that only you can access the files rather than others. This is major factor for security to CMS. Along with changing the permissions of file you must also remove unnecessary installations on your CMS site. Unnecessary information should also be removed and protect all your directories and files by changing the permissions. Keep your CMS website script with latest versions. It is necessary for the CMS site to keep up to date versions to avoid vulnerabilities. CMS providers will release the latest versions so be attentive to this and download those versions. As well as the script you must also updates the third-party plug-ins that you are using in your website because there is a chance of vulnerabilities in the add-ons. If you have a host for CMS or you host your CMS, use PHP4 or PHP5 or PHP6 for your website because CMS runs good on those platforms. If you can’t maintain your website regularly it is better to use static HTML for your CMS site. 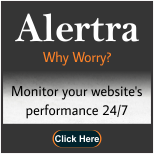 This provides more security for your site. If you follow above steps then you can get security for your CMS website from now. Why Is It Important To Consult a Lawyer While Purchasing a Property?